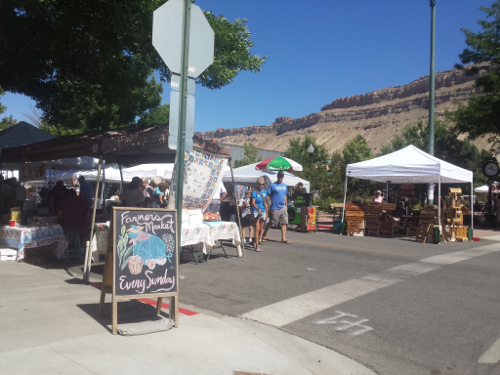 Downtown Palisade’s weekly Sunday Market will be running all the way through September of this year, and will feature local chef’s demonstrations each week as well as musical entertainment. This week’s culinary demo features chef Meredith Newell from Taproot Catering of Grand Junction. Raised on an organic farm in a vegetarian home, Newell learned early on that the tastiest and most nutritious meals come from the freshest and healthiest ingredients, and has made it her life’s work to help connect people to healthy, tasty foods. 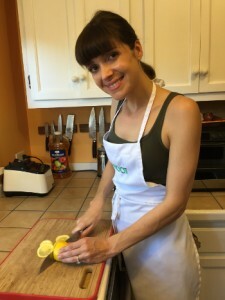 Using the freshest locally available ingredients, Newell will demonstrate a few of her specialties under the shade structure in the Town Plaza between 11:30 and 12:30 this Sunday. Better yet, she gives out samples! Join Meredith for some tasty samples from 11:30 – 12:30 this Sunday. 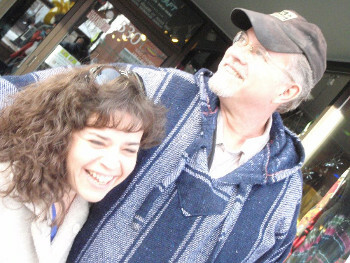 Also appearing at this week’s Sunday Market will be Boogie Chillin’ with Terry Laubhan. Terry and Paul will be entertaining with their brand of blues in the Plaza from 10 a.m. till the chef’s demonstrations begin at 11:30. They’ll begin playing again at 12:30 till the market ends at 2 p.m.
Terry and Paul will be playing this week under the shade structure in Downtown Palisade’s Town Plaza. More produce is available each week, and local vendors will have their freshest, just-picked fruits and veggies for sale, along with local honey, alpaca products, woodworking and more. There is also face painting, and a craft tent for kids, so bring the entire family to Palisade’s Sunday Market. Next Story → Fantastic Fourth of July Barbecue!